So I tried my hand at another episode of CrimeTime Radio. I went with a bank robber theme, since I had the Clash song (YT) in my head. To make it fun, I added a little Fun Lovin’ Criminals (YT) to the mix. Steve Earle brought his storytelling with Tom Ames’ Prayer (YT), which reminded me of the end to Butch Cassidy and the Sundance Kid, a stretching-the-truth crime movie I watched last week. Since the show should perhaps have some tenuous connection to true crime, I brought in Bonnie and Clyde (YT), which is in French. I tried running the lyrics through Google Translate, but it missed a lot of them. 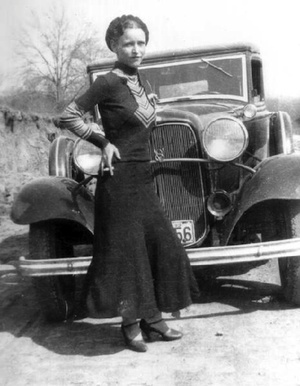 However, I discovered the song was based on a poem Bonnie Parker wrote shortly before she and Clyde were gunned down. The end of their trail wasn’t hard to foresee. 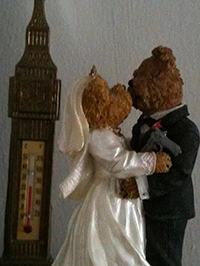 This entry was posted in Uncategorized and tagged crimetimeradio, ds106radio, true crime. Bookmark the permalink.